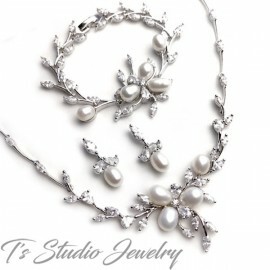 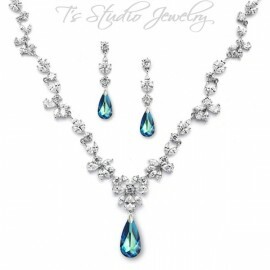 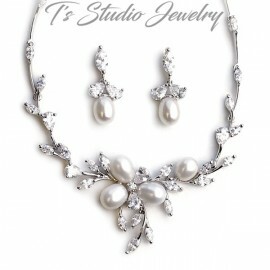 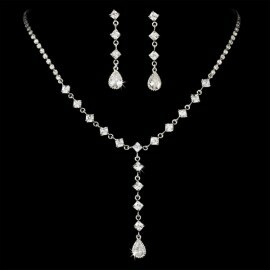 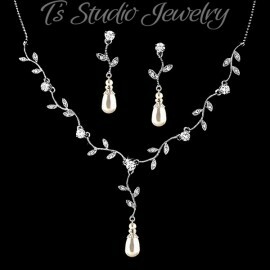 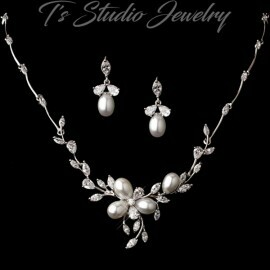 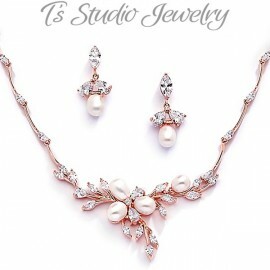 Absolutely stunning, this bridal necklace set features sparkling cubic zirconia crystal stones that will stop you in your tracks. 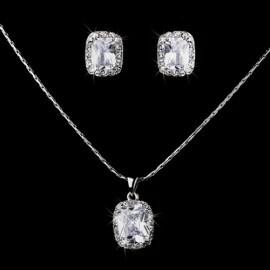 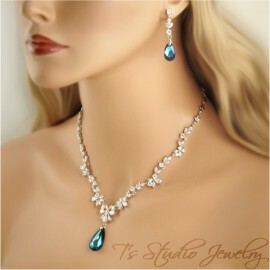 Dozens of sparkling cCZ crystals have been carefully crafted into a lustrous silver plating that is simply irresistible. 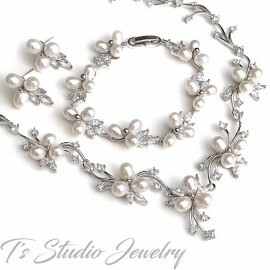 Necklace measures 17” long (non-adjustable) with a dangling 2.25” length x 0.5” wide pendant. 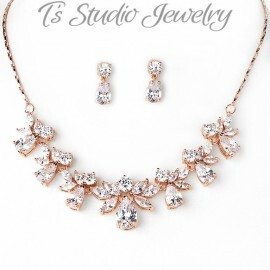 Earrings measure 1 1/2" long.